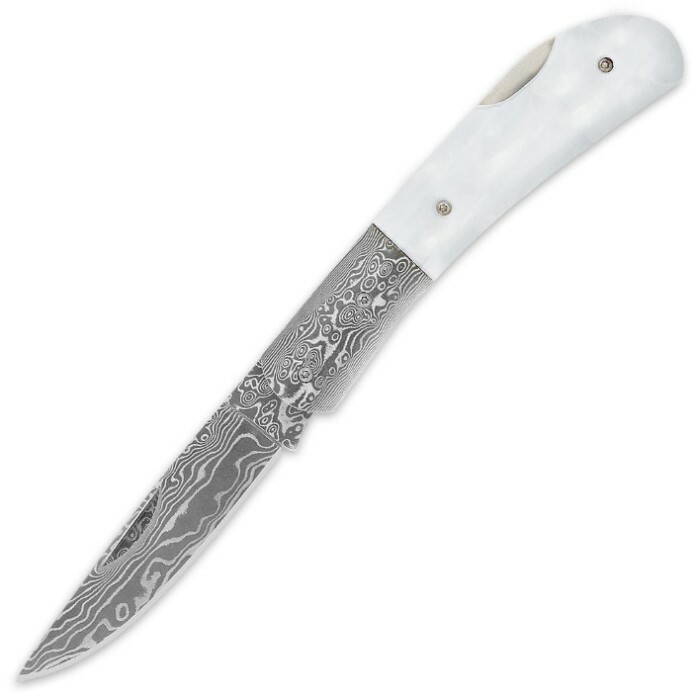 Kriegar Genuine Pearl Damascus Lockback Folding Knife | BUDK.com - Knives & Swords At The Lowest Prices! Perfect size to slip in a pocket. Sharp blade; sharp design. And I'm a sucker for pearl scales. This is a beautiful knife, just gorgeous. It is quite sharp and useful for all those little tasks a pocket knife is handy for. Fine for a lady or a gentleman, it reeks of distinction at a reasonable price. Real MOP, beautiful Damascus steel.